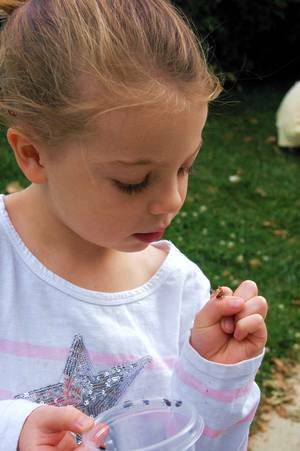 The Menlo-Atherton Cooperative Nursery School uses play-based learning to help children develop social and cognitive skills, mature emotionally, and build self-confidence. Parents play an active role by working in the classroom, attending parent education classes, and serving on our board and committees. We believe that if a child has the opportunity to develop confidence in herself, she will be able to think for herself, make her own decisions, and work out solutions to her own problems. We want the child to have a good self-image—a feeling that she is a worthwhile person and respects and trusts herself. We feel that each personality is of value. Each person—if given love, acceptance, support and encouragement—will develop in her own unique way and be of value to herself and society. A parent-education-sponsored cooperative nursery school such as ours is the ideal environment in which these feelings of self-esteem and self-worth can flourish. Our parents give their time and energy because they believe in the importance and value of a cooperative, giving, sharing, and caring school for their children. Indeed, it is this commitment that makes the cooperative school parent unique among parents of preschoolers. They’re responsible for their obligations to the school including their workday, night classes, committee duties, and involvement in school activities. The atmosphere they foster provides a happy setting for all of our children, not just their own. With the aid of our professional teachers, our parents contribute to a loving, caring community of adults and children. 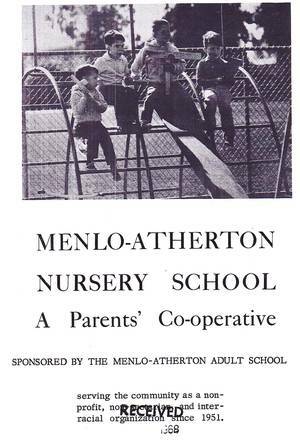 The Menlo-Atherton Cooperative Nursery School was founded in 1951 as the Menlo Play Center by the American Association of University Women, in co-sponsorship with the Sequoia District Adult School. For its first ten years, our school was housed in a series of rented quarters while members worked to locate a permanent site. In May 1961, after a significant community fundraising effort, we moved to a new building in our current location in Nealon Park. On February 16, 1992, our school suffered a devastating arson fire that destroyed our building. Fortunately, our teachers and parents mobilized quickly to ensure that the school would survive. Adopting the motto “You can’t keep a good school down,” classes were held on the playground and parents staged numerous fundraising events to replace the toys, books, and furniture lost in the fire. With input from teachers and parents, local architect and former co-op parent Sam Sinnott designed an award-winning facility for our school. After nearly three years of hard work, we proudly dedicated our new building in October 1994.